Forman Holt specializes in sophisticated corporate bankruptcy cases assisting both debtors and creditors through three key practice areas: trustee & fiduciary, debtor representation and bankruptcy litigation. Additionally, we have broad strengths in all areas of business law including traditional commercial litigation. Forman Holt attorneys have the depth of experience and the dedication to help our clients succeed, handling a variety of challenging and complex bankruptcy-related cases spanning the areas of telecommunications, manufacturing, real estate, employee benefits and health care, securities law, among many other specialized corporate industries. The firm’s services range from assisting creditors to collect assets from others as well as defending businesses whose assets are being challenged. 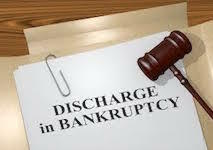 This includes coordinating the windup of an operating debtor, administering the mandatory sale of a debtor’s assets, pursuing creative solutions for recovery, protecting economic interests, filing for bankruptcy relief under Bankruptcy Code, pursuing litigation and reorganizing a business’s structure. The Firm brings expertise and integrity to the unique challenges of the legal system. We’re here to serve you. Contact us anytime.